Like Mary Anne, I learned the hard way not to lend my books. I was 12 when my favorite disappeared. Yes, it was "just" a compilation of Peanuts cartoons. But it meant the world to me, once upon a time. First of all, it was a Christmas gift from my parents, and my mom had written a sweet message inside, along with the date. Secondly, I fancied myself a budding artist/illustrator back then, long before writing was on my radar. I'd flop onto the floor and, for hours, painstakingly copy cartoons, frame by frame, from the Peanuts Treasury onto gigantic sheets of slick paper my mom found for me. I practiced until I could draw Charlie Brown in my sleep. Snoopy was a little tougher. But he was my favorite character, so I kept trying to capture every emotional nuance his body language conveyed: a lifted ear here, a tilt of the head there. . . .
That next spring, a friend asked to borrow the book, and I happily handed it over. Unfortunately, we grew apart over the summer as 12-year-old girls tend to do. When school started again, I asked her about my book and got a, "Me? What book? I don't have any of your books." 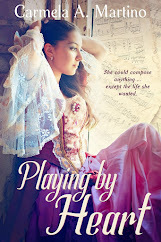 She smirked and walked away while I tried not to cry (and fantasized about taking her down). My mom called her mom. Her mom searched her room and said it wasn't there. And then . . . well, what could I do? Life goes on. What really irked me about the whole episode was that my mom had written that message inside the front cover; clearly, whoever had it knew it was mine, knew it was a Christmas gift. Ugh. For weeks I plotted elaborate scenarios in which I befriended her again so she'd invite me to her house. We'd be in her room, and I'd ask for a glass of water, and when she left to get it, I'd search her room myself, and – aHA! – find my book between her mattress and box springs. Didn't happen. And I stopped drawing. Over the years, anytime I was at a garage sale or a used bookstore or even antique shops, The Book was in the back of my mind. I mean, there had to be other copies floating around out there, right? Never found one, though. The cover wasn't the same, but I knew it was the right book. I ordered it and happy danced when it arrived – then promptly hauled it to my mom's and had her reproduce her inscription of 40 years ago. 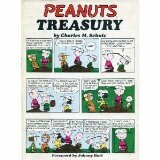 I'm a writer today partly due to the frame-by-frame storytelling I learned from Charles M. Schulz. I'm living proof that when a kid connects with a book, whether a heralded work of great literature or a collection of cartoons, it helps shape who they become. That's why I never cared what my kids were reading, only that – thank you, Lord! – they were reading. P.S. 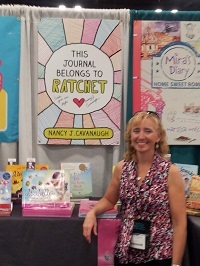 Enter our giveaway and win a copy of Nancy Cavanaugh's This Journal Belongs to Ratchet (Sourcebooks/Jabberwocky). Details here. I think all of us TeachingAuthors have had at least one post on the topic of "show don't tell." It is the flaw I find most often in my students' writing. It's also the hardest to explain. When we relate a story orally, 99% of the time we are telling. We talk about a series of events, heavy on the action, light on the emotion, and almost always leaving out the thought process that led to the action. Platform, 2012). The book is a listing of every possible emotion with a list of physical manifestations of the emotion, mental responses and other more subtle aspects of the emotion. I have found what I have long needed, a blueprint for brainstorming "show don't tell." When I am critiquing, I get a lot sentences like "Carol was mad. She burst into tears." But is Carol really mad? Maybe she is frustrated. Or depressed. Or hurt. 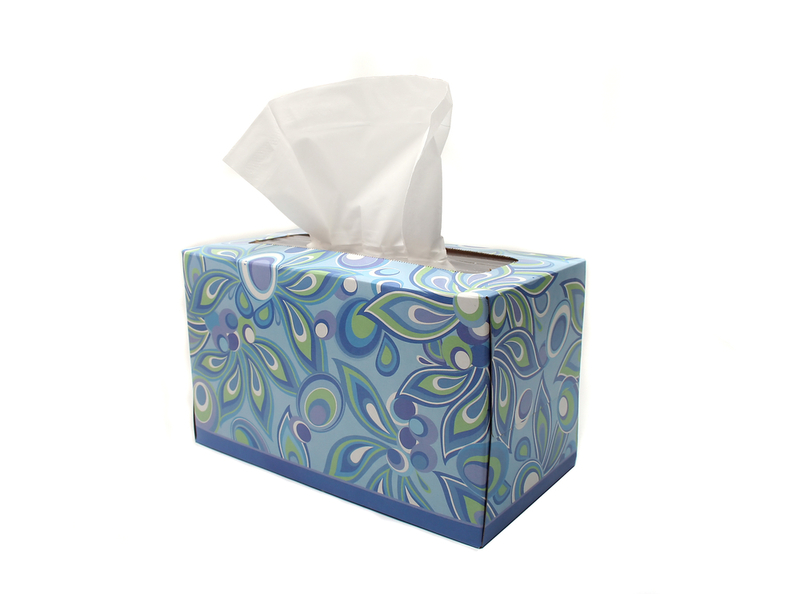 Any of these emotions could cause tears. Mad is one of those "deadweight" words that just doesn't tell you a whole lot. Let's get specific, shall we? Let's decide that Carol is hurt. Someone has said something nasty to her. How can we show that Carol is hurt? I have a pet peeve about crying in writing. Once or twice a book is all I will allow myself. That includes all forms of sobbing, wailing, sniffling, crying, blubbering, etc. I have read stories where someone is doing one of the above every other page. A little bit of tears goes a long way. By the time you get to the third time someone is crying, it loses its impact. Your reader will either become annoyed or worse, find it funny. Not the effect you want. So back to poor, hurt Carol. How would you act if your feelings were hurt. Would your eyes water? (Not tear up...water)? Might your throat grow tight? Bite your lips, stutter a reply, leave the room to keep from saying something you'll regret? What should my body language look like? I could exit the room with my head held high (to put a good face on the situation). Once out of sight,, my shoulder should droop, my head hang, I might slump against a wall, or drop into a chair. Anyone who has ever had one of my critiques is familiar with the words "What is he/she thinking/feeling?" We need to get inside Carol's head for the scene to have the final emotional impact. What is going on in her head? I'll bet she's wondering "Gee what did I do to cause that to happen? What did I ever do to her?" Depending on how hurt she is, maybe she feels that her heart is actually breaking. Maybe she is so taken aback she feels stunned. Perhaps she feels that time has stopped. Or that she is moving in slow motion. Of course you wouldn't use all of these details. Think about Carol, and choose a few that you think fit how you know apply to Carol. (After all, Carol is your invention. Let's try it, shall we? Carol could not believe what Mr. Ellis had said. With her head held high, and impeccable posture, she turned on her heel, and left the room, her heels clicking across the linoleum. Once in the hallway, she threw herself against the ladies' room door, and lurched inside. She slumped over the sink, splaying her face with cold water to keep the tears at bay and force the lump in her throat to dissolve. What did I do to Mr. Ellis? she wondered. He has always liked my work. I've always been a good employee. Then she knew. Jennifer. Jennifer in human resources. Carol and Jennifer had never really gotten along. Jennifer must have said something about her work to Mr. Ellis. But what? What did Jennifer say? OK, so this isn't Tolstoy, but you have to admit it says a lot more than "Carol was mad. She burst into tears." 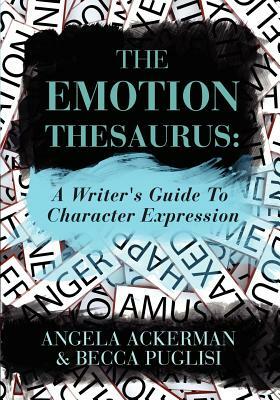 I am not telling everyone to run right out and buy The Emotion Thesaurus but I certainly recommend giving it a look. It will give you a new perspective on "show, don't tell." 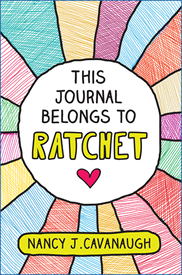 Don't forget to enter our current giveaway for a copy of Nancy Cavanaugh's debut middle grade novel This Journal Belongs to Ratchet (Sourcebooks/Jabberwocky). See Esther's student success story for details. I do not loan my books. Ever. Here is why. Before I was a full time writer, before I was a school librarian, I was an "extension" librarian in a fifteen branch library system in rural Mississippi. "Extension librarian" meant I was a bookmobile librarian, minus the bookmobile. I drove the library station wagon. I hit every branch once a month, running children's programs, and muling in new books for the collections. Although I was not officially a children's librarian, working with kids was my favorite part of the job. My least favorite was the limited book collection. The description "rural Mississippi" says a lot about our book budget. Before the Internet, before cable TV, even before satellite dishes, a good many of my patrons had no electronic access to the outside world, unless you counted AM radio. AM radio consisted of farm prices, obituaries, and what was on special at the Piggly Wiggly. These kids read. A lot. The libraries were teeny-tiny, wedged into old gas stations, storefronts or the back room of the Farm Bureau or City Hall. My pint-sized patrons had read everything that wasn't nailed down. To supplement local pickin's, they were allowed to request books from The State Library Commission in Jackson, five books at a time. I came back from my branch visits with stacks and stacks of loan request cards. Between visits, the librarians would mail me more requests. It appeared that not even The Library Commission could satisfy their need for books. Their love of reading gladdened the heart of this newly-minted graduate librarian. So I did the unthinkable. I loaned my own books. They were checked out through the library system as "a special loan" so I always knew where the book was. To their credit, those kids living out in Chalybeate and Blue Mountain and Hickory Flat appreciated the effort, and took care of my books better than I did. Word circulated that the "Library Lady" could get you whatever you wanted...which made me sound like a literary dope dealer. If you needed a good book report book, she could figure out what you wanted and get it for you. My kids grew older and moved into high school, and still they were reading! How could I possibly let them down? The last year I worked for the public library, my favorite YA book was William Hogan's The Quartzite Trip. YA literature was a whole 'nother animal in the early '80's. Mostly YA novels were "problem" novels. The main character was anorexic. Or an alcoholic. Or on drugs (we stopped replacing all the library copies of Go Ask Alice that mysteriously "disappeared") Or schizophrenic. (We stopped replacing I Never Promised You a Rose Garden as well.) The Quartzite Trip was so different. In a sentence, the book is about a high school geology class field trip to the desert in1962. The tension came from the interpersonal relationships of the class, and their mystical, quasi-hippie (for 1962) teacher. I thought it was great. I thought it was the bomb. I was first in line when the book came out as a paperback. Then I got careless with my loaning. I started loaning books to the teens in my town, not going through the library system but as one friend to another. (I was only four or five years older than some of these students.) M--I-S-T-A-K-E.
One day I went to loan out Quartzite for the 100th time...and it wasn't there. I knew who had it. They'd had it for over a year. In fact, the student had graduated from high school and moved on to the state university. That was OK. His family lived down the street. I'd just go reclaim my book. His parents looked at me as if I had two heads. "Bob (not his real name) read a book? Are you sure? Well, you can look around his room..." I did. I found any number of things that I am sure his parents did not know were lurking in there, but my book was not one of them. Flash forward to the Era of Online Book Buying. I discovered that The Quartzite Trip was out-of-print. The "good news" was that it was available...for an unseemly amount of money...from an out-of-print bookpirate...I mean bookseller. "Bob's" two ninety-five wouldn't cover shipping and insurance, let along the actual price of the book. And that, dear fellow writers and readers, is why, if you ask to borrow one of my books, I will say no, if you ask to borrow a book. Politely, to be sure, but a definite no. I would sooner loan you a lung or a a kidney. Those come in pairs. Labels: book loaning, books, Mary Ann Rodman, Memorable Books, The Quartzite Trip, William Hogan. Last week, Jeanne Marie kicked off Children's Book Week by introducing our series of posts about beloved children's books we've lost and miss. Before I share my own lost-book story, I want to congratulate the winners of the Sixth Annual Children's Choice Book Awards. According to this press release, over 1,000,000 votes were cast! How cool is that? You can see the list of finalists and winners here. Now my lost-book story is nowhere near as intriguing as April's. (If you haven't read her post yet, go do so now. I'll wait.) My story starts some years back, when I created a new one-day workshop for College of DuPage called "Writing for Children and Young Adults: From Goodnight Moon to Harry Potter," designed to introduce students to the field of writing for children and teens. As part of the class, I planned to give an overview of the "ages and stages" of children's literature, sharing examples of a variety of genres and formats, classics and contemporary works. Margaret Wise Brown's Goodnight Moon was one of my son's favorite picture books as a child, especially at bedtime. We read the marvelously lyrical, calming text so many times that I memorized it. But when I went to prepare for the class, I couldn't find our copy anywhere. 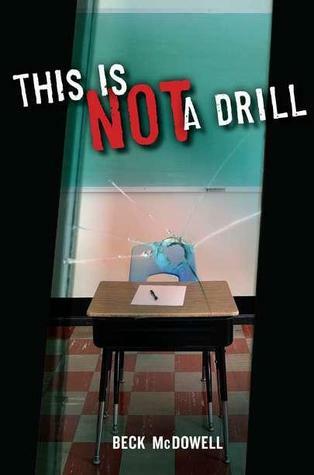 It wasn't in my son's bookcase (he was away at college); it wasn't in his closet; it wasn't in my office. I finally gave up and borrowed a copy from the public library to use in my class. 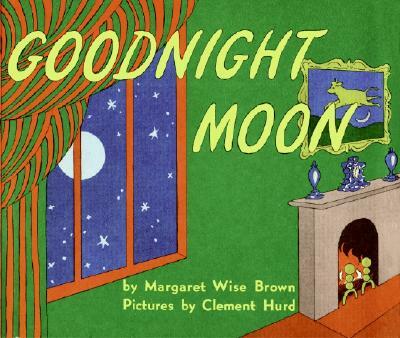 I taught the class multiple times, and each time I looked for our copy of Goodnight Moon. No luck. Finally, my husband reminded me that I had packed away some of my son's books and baby things in a box that sits in the attic of our garage. Not wanting to ask my husband to drag out the box, I bought a used, paperback copy of Goodnight Moon for class. If my son eventually has children of his own, we'll get that box down from the attic. When we do, I'm hoping to find that it contains not only Goodnight Moon, but also another Margaret Wise Brown/Clement Hurd classic I've been missing for many years--The Runaway Bunny, the story of "a bunny's imaginary game of hide-and-seek and the lovingly steadfast mother who finds him every time." As a first-time mom, reading that book to my son was my way of saying that I would always be there for him. But even now I'm not sure who found the book more comforting, my son or me. 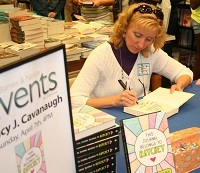 And don't forget to enter our current giveaway for a chance to win an autographed copy of Nancy Cavanaugh's debut novel for middle-graders, This Journal Belongs to Ratchet (Sourcebooks/Jabberwocky). See Esther's Student Success Story interview with Nancy for details. When you're done, head on over to Jama's Alphabet Soup for today's Poetry Friday round-up. 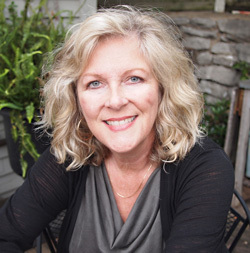 Now you – and/or - your students - can write a Success Story, thanks to the Revision Tips our Monday Student Success Story Interviewee, children’s book author Nancy J. Cavanaugh, shares in today’s Wednesday Writing Workout! Thanks, Nancy, for introducing our readers to ThePlot Whisperer, Martha Alderson. And, Readers: if you haven't already done so, go to Monday's post to enter our TeachingAuthors Book Giveaway to win an autographed copy of Nancy’s debut novel Ratchet (Sourcebooks/Jabberwocky). Let’s hear it for that prefix “re”! My main character Ratchet knows a lot about engines, and I know just a little bit too. The way I learned about engines was by taking them apart. Taking something apart is a really great way to learn how it works. It’s also a great way to figure out what’s wrong with something when it doesn’t work. When you bring your car to a mechanic, you don’t expect him to open the hood and just stare at the engine. You expect him to get out his tools and start taking things apart. It’s really the same way with writing. It’s called revision, and it gets messy. When you finish a draft, your first inclination is to love it and to think it’s perfect. It feels so rewarding to have that clean copy in your hands, and it looks so good! But, the reality is, if you want to make it better and take it to the next level, it’s got to get messy all over again. Martha Alderson’s Blockbuster Plots and The Plot Whisperer provide me a lot of direction when I am taking apart a manuscript. In her books and DVDs, Martha uses a plot planner and a scene tracker. Very simply put, it’s a method of taking apart your story by listing each scene. Putting your story into this format allows you to get your head around the whole thing at one time. 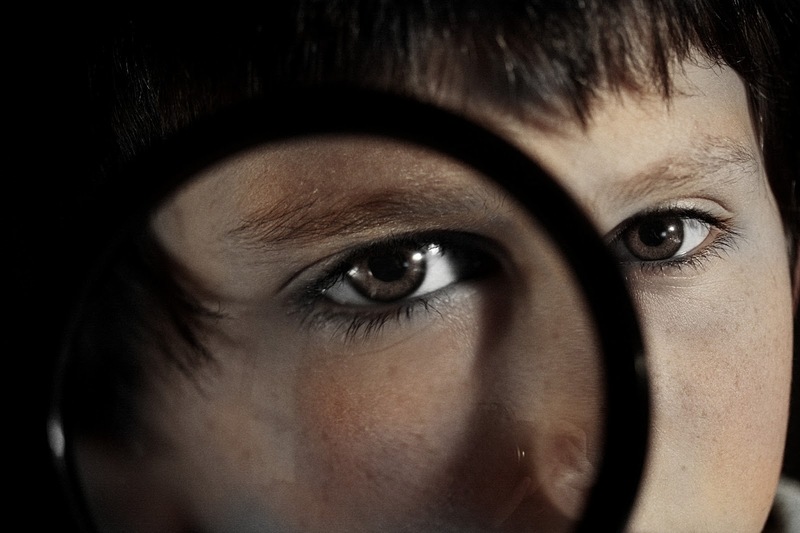 Listing your scenes this way enables you to determine whether each scene works within itself and to determine whether each scene works within the overall plot. Taking apart your manuscript his way also helps you clarify which parts of the overall plot are not working or what parts are missing altogether. (Martha’s books and DVDs give detailed instructions on how to create the scene tracker and plot planner. Check out Martha’s website to learn more. At first, Martha’s method seemed much too tedious and time consuming. I didn’t want to take apart my manuscript piece by piece after I had worked so hard to write it, but when I finally got tired of my story not working, I decided to give it a try. I did my own version of Martha’s scene tracker and plot planner, but I used her basic format to find what was missing in my plot and make my story stronger. It took a lot of work, a lot of time, and made a big mess of my manuscript; but if I hadn’t taken things apart in this way, I never would’ve been able to see what was really wrong with my story and why it wasn’t working. My advice? Find a revision method that works for you, and take the time to do it because when it comes to revision there really are no shortcuts. Taking apart your story is necessary, and that takes time and gets messy, but when you put in the time and clean up the mess, your story will run like a race car. Searching for Lost Books from Childhood ~ and Happy Poetry Friday! Ed Decaria is hosting--thank you, Ed! And Happy Children's Book Week! 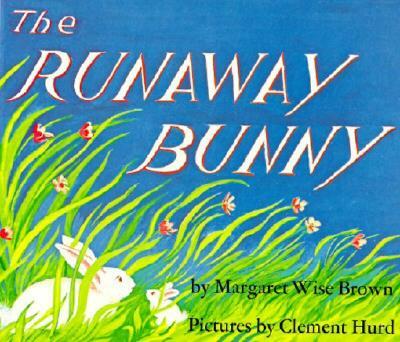 Jeanne Marie introduced our current topic: In honor of Children’s Book Week, share the title of the book we wish we still had or are sorry we loaned (and never got back) or one we (god forbid) threw away. Heavens to Betsy! The search for my cherished book turned into a detective story. The first thing I did was to ask God...errr...Google for the title of the book about a surprise birthday party for an old woman named Lisette. Bello, her dog, directs the other animals while Lizette is at the market--he tells the goats to get apples, the ducks to get candles, etc. He and Lisette's two cats (Molly and...Ruly?) bake a bundt cake that burns on top, so they put powdered sugar on it at the last minute to hide the burned part. But who was the marvelous author/illustrator and what was the name of the book???? In the course of my search, I found a site called Old Children's Books which has a page called "Looking for a Book?" Finally, I remembered that at the end of the book was a little kitten. And I remembered that the author/illustrator wrote another book about him. In fact, the cat's name was the title of the other book. So if I could just remember the name of the cat...it was...Pitchie! But I couldn't find a book called Pitchie. Or Pitchy. Stumbling down the corridors of the internet, bumping into walls, I finally found the other book! 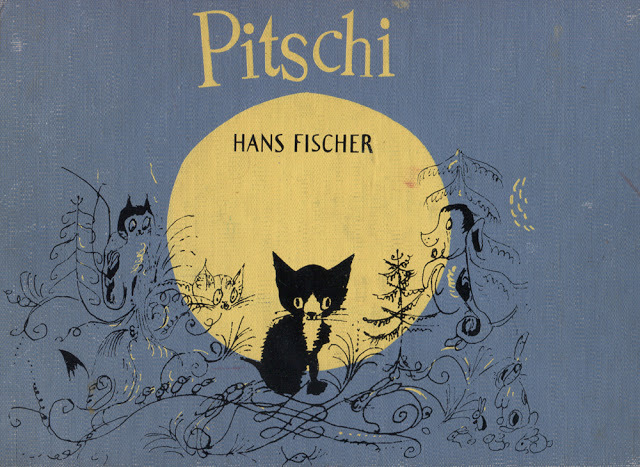 It was called PITSCHI (published in 1948). 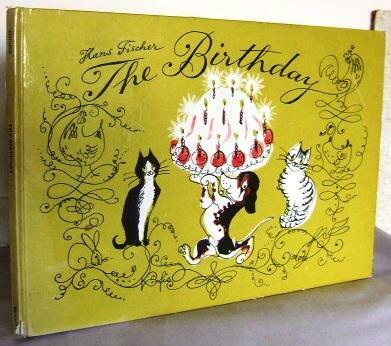 I now knew the name of the author/illustrator: Hans Fischer. Which meant I was close to finding the book I was actually looking for! But first, let's take a detour. 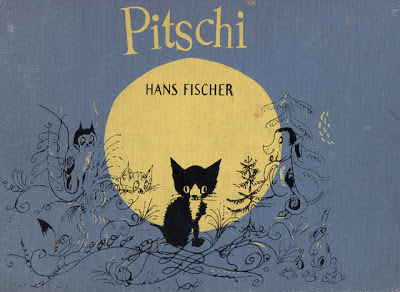 Click here to enjoy Hans Fischer's fantastic lithographs in Pitschi "the kitten who always wanted to be something else. A sad story, but one which ends well." All the same characters are in the book I have been looking for...and now I can plug in Hans' name and come up with THE BOOK--right? Yes! On Worldcat.org I found it--The Birthday: a Merry Tale with Many Pictures (1954)! Worldcat summarizes the story: "In a clearing in the forest lived old Lisette with her animals. On her seventy-sixth birthday, Lisette went off to the village, and while she was gone the animals prepared a wonderful birthday surprise for her." This is the book from my childhood that still makes my heart sing. With all the searching, I learned a few things about my good friend Hans from Children's Books and Their Creators, edited by Anita Silvey. He was Swiss, he lived from 1909-1958 (only 49 years?). 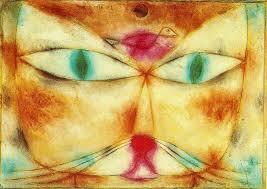 And he studied under the artist Paul Klee who taught him how to use color. No wonder I fell in love with Fischer's style--I love Klee! Klee said, "It is not my task to reproduce appearances...for that there is the photographic plate. I want to reach the heart." Legendary editor Margaret McElderry discovered his work, bought the US rights to Pitschi, and went on to publish his other books, including The Birthday. So here's my song to Hans Fischer and The Birthday. What's the book you wish you still owned? Why not write a poem about it? Remember that our blogiversary contest runs through May 19th--there's still time to be a winner! See Carmela's post for all the details. P.S: Take a moment to read Esther's post, below, featuring the wonderful poet and author, Holly Thompson, her newest verse novel...and her fab writing exercise. Thank you! 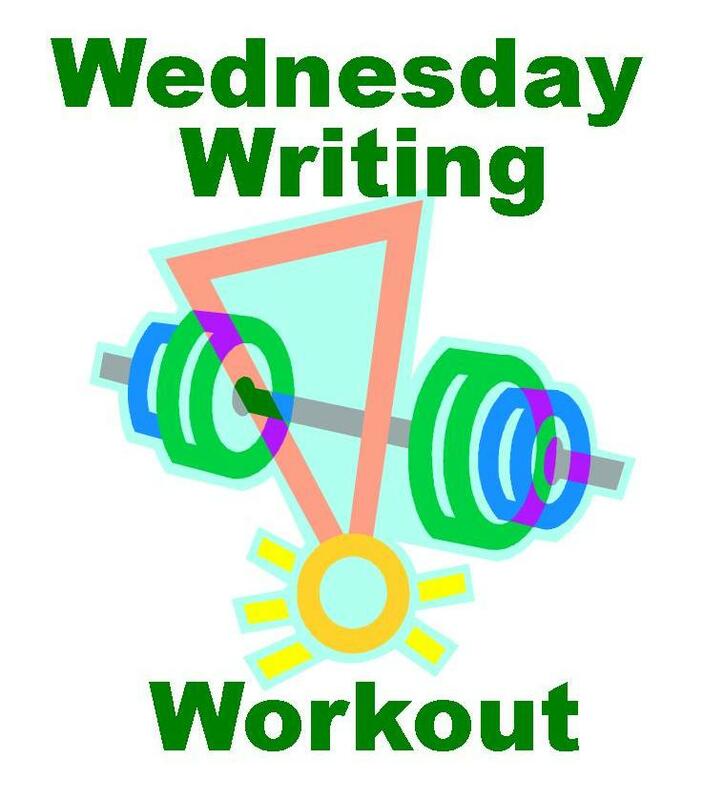 Today’s Wednesday Writing Workout comes from Holly Thompson, a fellow TeachingAuthor, just in time to celebrate yesterday’s Delacorte/Random House release of her second young adult novel in verse, The Languge Inside. The novel tells the story of Emma Karas “who was raised in Japan; it’s the country she calls home. But when her mother is diagnosed with breast cancer, Emma’s family moves to a town outside Lowell, Massachusetts, to stay with Emma’s grandmother while her mom undergoes treatment. 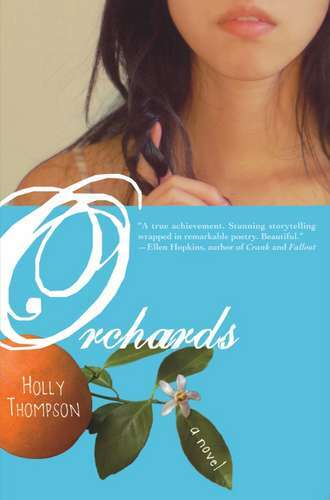 Many TeachingAuthors readers met Holly in 2011 when my March 16 Student Success Story interview celebrated the release of her first young adult novel in verse, Orchards. Orchards went on to win the APALA Asian/Pacific American Award for Literature. Raised in Massachusetts, Holly earned a B.A. in biology from Mount Holyoke College and an M.A. in English (concentration creative writing/fiction) from New York University’s Creative Writing Program. A longtime resident of Japan, Holly teaches creative writing at Yokohama City University and also serves as Regional Advisor for the Japan Chapter of SCBWI. Holly’s fiction often relates to Japan and Asia. 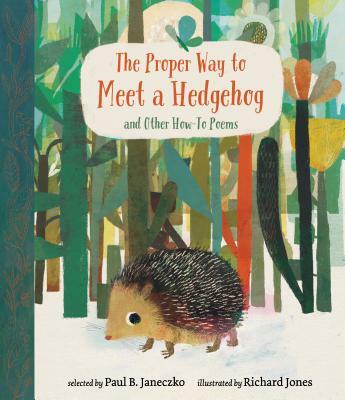 Congratulations, Holly, on yet another successful book! 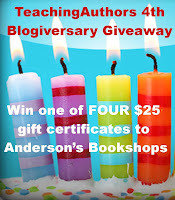 And, thank you for sharing your expertise with our TeachingAuthors readers – who happen to have only until Sunday, May 19 to enter our TeachingAuthors Blogiversary Giveaway! 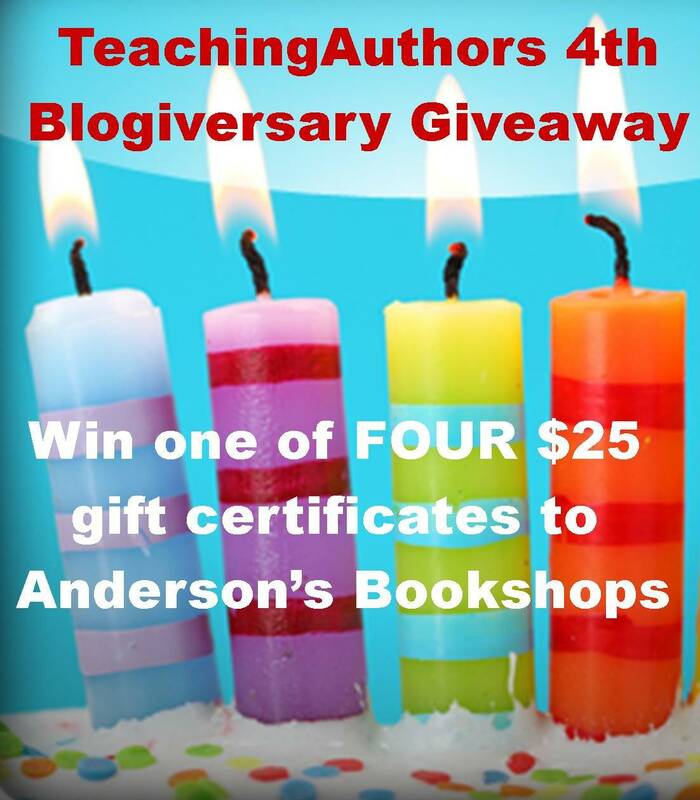 Click here to enter – if you haven’t already – the raffle to win one of 4 $25 Anderson’s Bookshop Gift Certificates. 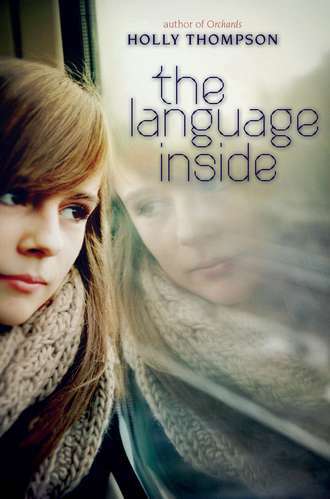 The Language Inside while she was visiting Korea. 2. Also gather some verse novels. Select one scene to share with students. Choose a scene that has a fairly clear beginning, middle and end. Chapter 22, Visitors, of my novel Orchards is an example of a scene in verse with a clear plot arc. 1. Read the narrative poems aloud. For each narrative poem, ask students to react. Ask: What lines or stanzas do you like? Why? What is the mini plot of the poem—what happens in this poem? Then have them look at the structure and style of the poem. Ask: Do the structure and style help create the narrative? How? 2. Read aloud a scene from a verse novel. Ask students to react. Ask: What lines or stanzas do you like? What lines move you? What lines are powerful? Where did your breath catch? Where did the pace pick up or slow down? Why? What is the basic plot arc of the scene? Did any action happen off the page? How did the writer structure the scene and create tension—with repetition, white space, short lines, long lines, particular images, or sounds and rhythms? 3. Next, give students your list of situations. Have students brainstorm examples of the various types of situations. Students will then choose one type of situation from which to create a narrative poem or scene in verse. 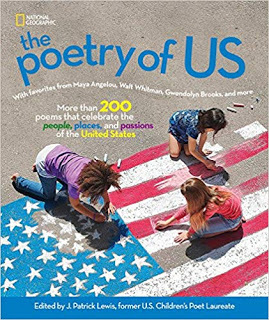 Point out, for example, that “Oranges” can be considered a first time poem; “Our Other Sister” a lie poem; “Fifteen” and “Traveling Through the Dark” decision poems; and “Cod” a betrayal poem. Chapter 22 in Orchards might be considered an encounter scene. 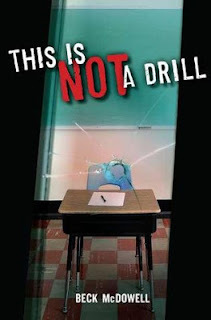 Tell students they can start from a true situation, or partially fictionalize a situation, or veer away from actual truth to completely fictionalize a situation. 4. 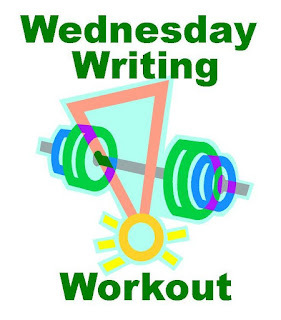 After students create first drafts of their narrative poems or scenes, have them work at revising, individually and in peer workshops, checking for the narrative arc, details, poetic elements, line breaks and spacing. 5. Finally when students have polished their work, have students read, perform, create multimedia presentations, publish in zines or submit their narrative poems or scenes in verse to school magazines. Be prepared to be amazed! Good luck and let me know if you try this approach to introducing narrative poems and and narrative verse. In the Ford household, we've celebrated three birthdays, one First Communion, and Mother's Day (happy, happy!) all within the last month. 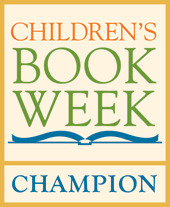 Heaven forbid we should rest on our laurels, so let's keep the party going with Children's Book Week! 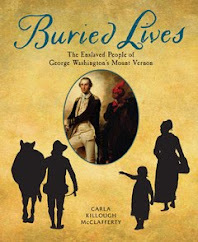 In our next series of posts, the Teaching Authors are planning to share titles of beloved childhood books that have sadly been lost to the ages (loaned, tossed, or otherwise lost). This is a timely topic for me, as my newly minted eight-year-old asked me last week for new reading suggestions. We trekked together to the attic, where my childhood books are stored. As an Army brat with at least 25 moves under my belt, I possess very few relics of my childhood -- toys, treasures, clothes, memorabilia. But books, I was smart enough to schlep and save. I am thankful that old and/or out-of-print books are now typically available on the Internet, though I suspect some of these will be hard to find. I plan to get these books into my daughter's hands or die trying. My ideal independent bookstore carries only children's books. A bell above the door tinkles musically each time a customer enters. Strategically placed twinkle lights lend a dreamy, wonderland quality to the bright, colorful interior. The staff is warm and welcoming and brilliant at pairing you with exactly the book you need. Cubby bookcases line the walls. Inside, new releases mingle with classics, and all are placed face out, of course. Displays throughout the store are artistic and irresistible. I can picture it so clearly . . . because it's The Shop Around the Corner from the movie, You've Got Mail. If that store existed nearby, I'd work there for free. Oh, I'd earn a paycheck; the money just wouldn't make it home. I don't have an indie in my hometown, but I wish I had one like Des Moines' Beaverdale Books. My DM author friends hold their book launches there, and owner Alice is a gem who's pretty much game for anything. I was able to attend Sharelle Byars Moranville's launch for The Hop last spring. Sharelle's friends brought in cheese and crackers, grapes, chocolates, a sweets tray, wine for the adults and, for the kids in attendance (since The Hop has gardening/environmental elements), cups of gummy worms in Oreo "dirt." Dozens of people showed up to share Sharelle's moment and hear her read from her adorable book. The joint was jumping! My town has a Barnes & Noble and a (new) Books a Million. Luckily for area authors, those stores have friendly staffs, especially Barnes & Noble, where Asst. Mgr. Paul Ziebarth makes this B&N feel more like an indie than a big box store. Paul bends over backwards to make book signings successful. He knocks himself out for our SCBWI-Iowa conference booksales, too, always with a smile and cheerful attitude that makes us feel like there's nowhere he'd rather be. Thanks, Paul, for making authors feel wanted and welcome! I know it isn't that way everywhere. There's still time to enter our blogiversary contest to win one of four gift certificates to Anderson's Bookstore! I grew up in a world devoid of bookstores. That's pretty amazing considering a good chunk of my childhood was spent in suburban Chicago. "Buying books meant" the offerings of the Scholastic and Weekly Reader Book Clubs. I still own those now-crumbling, 35 cent paperbacks and yellowing, cheesy board-bound books. A bookstore was something I saw only in the Loop...the book department of Marshall Field's and the Doubleday bookstore. My mother managed to convince me that the bookstores were like museums...you could look, but you couldn't buy. We moved when I was ten. Bye-bye, Marshall Field's, bye-bye Doubleday. There were no bookstores at all in Jackson, Mississippi, unless you count a few that catered to a particular political bent. Certainly nothing for children. In high school I found a second-hand paperback store near my house, which specialized in other kids' discarded Scholastic Paperbacks, and Grace Livingston Hill romances. I never left empty handed. Still, I imagined that somewhere, people must be buying real books. New books. Books that didn't smell like other people's houses, with the occasional gum wrapper bookmark. Then, while home on a college break, my dad told me that there was an actual bookstore in town. Not a glorified newsstand, like the so-called "mall bookstore" but a real, live bookstore with hard covers and paperbacks...all new. So off we went to this new place with the odd name of Lemuria, located in a converted apartment in an office complex on the Pearl River. A flight of stairs and voila... an ordinary two bedroom apartment..awash in books. Books in the bathroom. Books stacked on the floor and on the kitchen countertops. It didn't matter that it was hard finding some order in this chaos...it was books! I came back every chance I got. Nirvana. I learned that Lemuria's name came from a lost continent, home to an advanced civilization. The Lemurians developed a system of writing and recorded their thoughts. Most appropriate, I thought. An hour or so spent at Lemuria was an hour in another, better world. A temple of books, and I devoted worshipper. Ten years later, Lemuria moved to larger and even more elegant digs in the Banner Hall building, across the highway from it's former home. The autographed pictures multiplied. A separate children's bookstore, rare books room and separate building for the online store were added. There seemed to be a new expansions every time I came home and checked in. It is said that if you sit long enough at a Paris cafe, you will see everyone you know. Lemuria is like that. Whenever I visited, I'd grab a stack of books and sit in one of those deep leather club chairs, grazing on books and grooving with whatever funky music was on the store system. Sometimes I would see hometown authors Eudora Welty or Willie Morris in neighboring club chairs. No one bothered them. Unless there was a book signing, authors were customers like everyone else and no one bothered them. 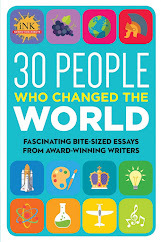 "So you are getting this book. It's really good. Have you read (the author's) first book? Same characters." It's not too late to sign up for our Fourth Blogiversary. See this post for details. See this post for details. As for me, I am ready to drop everything for a seven hour road trip to Lemuria!